about this book: What would my heroine do if her dreams of the future were in complete opposition to her inheritance and legacy? Ochessa Starr, is a strong and independent woman, and because of the hardships heaped upon her, determined to go it alone. When her brother is murdered, revenge becomes her new priority. She likes to think of herself as seeking justice, but it's really vengeance. After the Sheriff is mysteriously wounded and the Deputy turns out to be less than helpful, a resolution seems long in coming. Then Nic Breedlove shows up traveling the same trail, figuratively and literally. When he crosses paths with Ochessa, the attraction is obvious, but Ochessa is afraid to love, and Nic is afraid to lose his freedom. 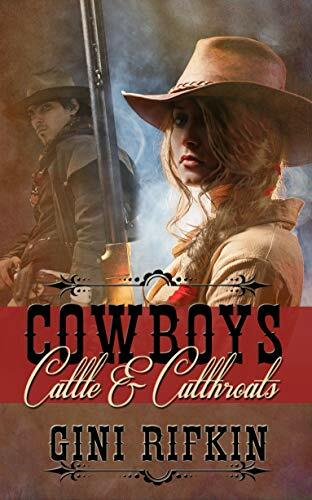 Fighting inclement weather, and outlaws holed up in the nearby foot hills will their only help come from a Wells Fargo agent, or is it a mistake to put their trust in him? How they overcome these barriers and find peace in their hearts, that's the adventure, and the fun, and the trip worth taking.